Anyway, I try to consume what’s in season, so I tend to feel somewhat limited in the winter. 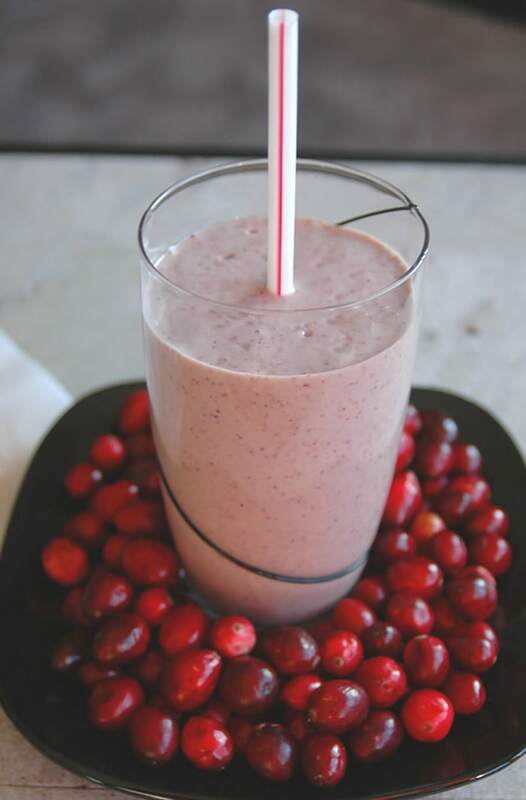 And you know, I never thought about putting cranberries in a smoothie, until I saw it on Pinterest. I knew immediately what changes I’d make and set off to experiment, since I had cranberries in the fridge. Friends, I was in love after the first try. I took my usual base of almond milk, a banana, and walnuts and threw in half a cup of cranberries and two dates, for sweetness. It was already delicious without flavoring, but I had to try it with a splash of orange extract. YUM!!! It actually reminds me of sherbet. It’s refreshing, perfectly sweet and has a fruity, berry taste I’ve been missing since summer. Not to mention, I just love the color. Oh, and it’s healthy, vegan and gluten free. This smoothie’s a winner in my book. Go get some cranberries while they’re still available and give it a try! Recipe Source: Inspired by this recipe. Fruity, refreshing and perfectly sweet, this smoothie is healthy and vegan. Gluten free. Place all ingredients in the blender and mix until smooth. 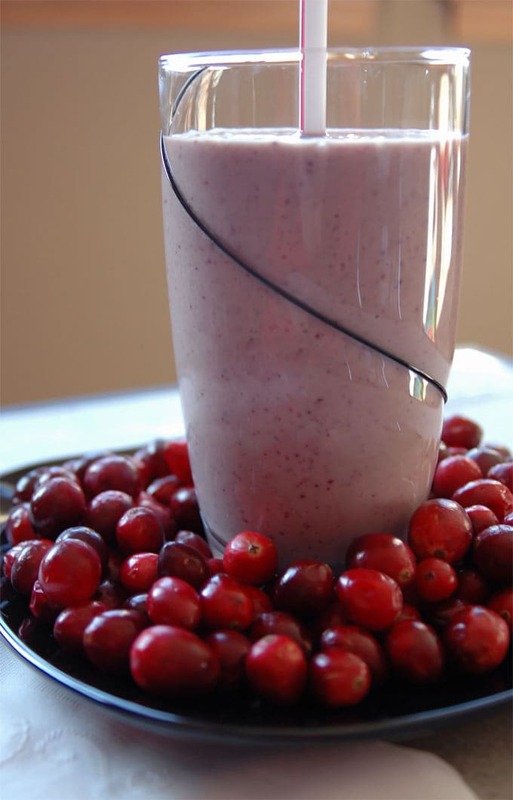 Denise, I bet you would love fresh cranberries in your smoothie. I’m addicted! 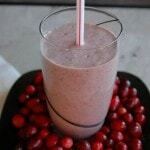 I get in a rut with smoothies too – so looking forward to trying this combination of flavors. Looks great! I hope you like this one, Geraldine! After all the toast I’ve been eating, it is time I make myself a smoothie! This looks perfect!